An heirloom engagement ring is perhaps the most meaningful piece to have in your marriage as it links you to the giddy brides who preceded you. 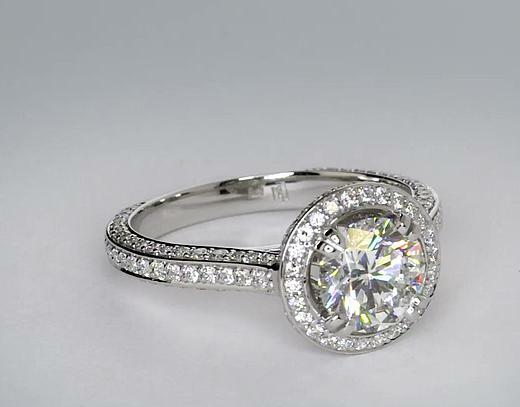 But what if you like the stone and not the setting? Perhaps because it’s impractical for your lifestyle, doesn’t reflect your character, or is just plain hideous. However, before you reset, consider the following to keep the look—and the sentimental meaning—of the ring intact for the next generations. From Which Side Should the Ring Come From? If only one side of your family offers an heirloom engagement ring, perhaps there would be no problem. However, if both families offer, it can be overwhelming to choose which side to take a ring from. Here are some important points to help you decide. •	Family History. If the ring has been transferred through five generations of your family, then that might seem a reasonable choice over one given by an aunt. •	Deceased Family Member. If the hand-me-down jewellery belonged to a dearly departed family member and holds a great sentimental value that reminds you of the person, that ring could be the most special one to take as a proposal ring. •	The Bride’s Choice. Since it is the bride who will wear the ring, it would be best to take her opinion a deep thought. If you think the ring is something she would not like or has no sentimental value for her, it might be best to just buy a new one. Before you start planning on making changes on the ring, make sure the giver of the heirloom piece from Singapore’s www.lingjewellery.com.sg agrees with the changes that will be made. Here are some tips on how to start this discussion. •	Bride’s Lifestyle. Mention that the ring in its current setting may not be practical for your fiancé. If her work requires frequent use of hands—say she’s a teacher who handles kindergarten—getting a safer location would sound like an acceptable idea. •	The Bride’s Hand. If you think the ring is just too small or too big for the bride’s hand, try bringing that point up. Rings look different on different hands, and that could be a helpful way to justify that some changes may be necessary. •	Personal Touches. You may also want to discuss the individuality of the ring. You can even include gemstones from another family member’s ring, or have the ring in a style that your fiancé will surely love. •	A New Band. In many cases, the metal from the antique ring can be re-created into a new one. This is especially acceptable if the ring is damaged and is no longer safe to wear. •	Re-cut the Stone. Diamonds—and other gemstones—can be cut and reshaped to fit a new style or setting. 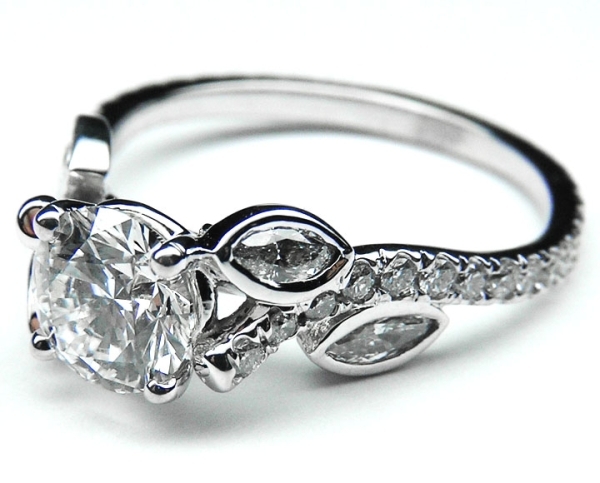 Reshaping may also be necessary to ensure that the stone has shining clarity and luster. •	Old Stone, New Band. The most common choice by Singapore couples is to take an old gemstone and place it in a new band. This option allows for more personal touches, like adding more stones, ring engravings, and using a material that matches the wedding ring. This oftentimes is the best way to honor your family history since it’s easier to incorporate multiple heirloom pieces. Whether you just want to reshape the stone or alter the ring entirely, it’s a courteous move to ask permission and acknowledge the giver of the heirloom engagement ring before doing anything drastic to the precious jewellery. Not only have you preserved the sentimental meaning of the precious jewellery, but also gained the trust of the important people of your lives. 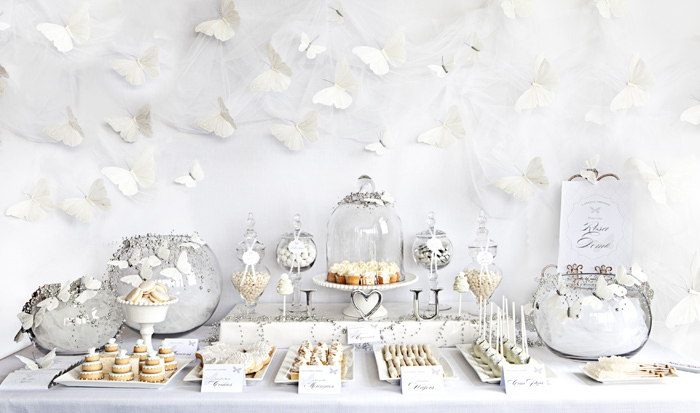 Organizing a bridal shower for an engaged loved on can be a daunting task. Figuring out where you should start the planning process, while browsing through hundreds of blog and Pinterest ideas makes the process seem overwhelming. Fortunately, some wedding organizers shared a few go-to tips on how you can make the bridal shower you’re hosting both pretty and unique. Details play an important role in personalizing a party. So consider adding some special and unexpected touches where possible to make the event feel more memorable both for the guest-of-honour and guests alike. When adding such touches to your party, think about the places the guests can’t miss. For instance, use some pretty plates, and write down the guests’ names on each plate for an easy DIY that leaves your guests with a sweet and personalized keepsake from the event. Does your guest-of-honour love sweet than savoury? Does she have a favourite beverage or cocktail? Catering a menu based on her likes will make the event extra special both for her and her guests. Also, consider creating a beverage station with dispensers that allow the guests to serve themselves when they’re feeling parched. Extra points if you’re filling them with the bride-to-be’s favourite cocktail. This is where it’ll really help to dig deep, and think about what the guest-of-honour really loves. Does she like fresh flowers? Then creating a floral bar will all her favourite flowers will definitely please her. Does regularly pin quotes in Pinterest? Perhaps implementing her favourite quote sometime in the day would add a meaningful touch to the event. The bride-to-be shouldn’t be the only one leaving the party feeling special. 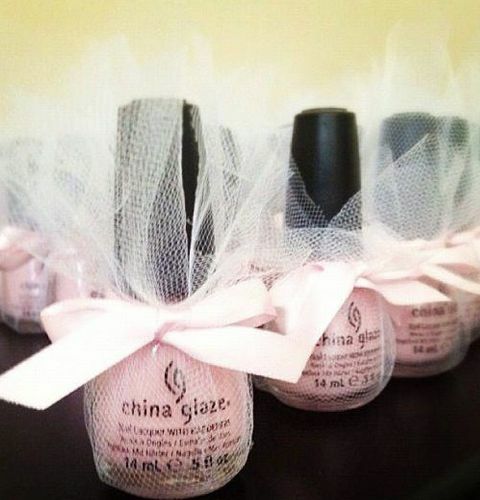 Give a little something to each guest as they leave to ensure that everyone feels loved in your event. A good favour would be stitching the wedding date of the couple on a pretty napkin, or adding the place where the bride-to-be met that particular guest to personalize your favour on a whole new level. When inviting guests to attend the bridal shower, ask them to prepare a sweet story to share with the bride-to-be. After that, set an intimate space where guests can gather, and share their sentiments about the bride-to-be. Just ensure that you’ve spruced up your venue well enough to provide a warm and cosy atmosphere both for the guests and guest-of-honour alike. Planning a bridal shower can be overwhelming at times, but by following the aforementioned tips, you’ll definitely be able to organize a bridal that both the bride-to-be and the guests will love. For any women, going on a wedding gown shopping can be both a daunting and exciting experience. But for a plus-size bride-to-be trapped in a sea of sample-size-eight wedding gowns, it could feel just downright impossible. Shopping for your dream gown, regardless of your shape and size, should never be an unpleasant experience. As a bride, you should never feel forced to settle for something that is less than your dream wedding dress. For a fulfilling Singapore wedding gown shopping, here is a list of essential shopping tips in a bridal studio especially tailored for our beautifully voluptuous brides-to-be. 1. Don’t quit on your dream wedding gown designer. If you’ve always dreamt of walking down the aisle with a Monique Lhullier or Vera Wang creation, then there’s no reason why you shouldn’t go for it. Most wedding gown designers create gowns that are up to sizes 20 to 24, even if they don’t have plus-size section in their bridal collection. Designers like the beautiful Whitelink bridal studio in Singapore offer custom-made bridal dresses to cater all body types and sizes. Just keep in mind that custom-made wedding dresses are much more expensive than ready-made ones. Also, bigger sizes require more materials; therefore, expect to shell out a few more dollars. 2. Be open and try out different styles of wedding gowns. Just as you shouldn’t allow your shape and size to preclude you from wearing your dream gown, you shouldn’t also let it dictate the style of the gown to wear. Though there are silhouettes that would work better for your shape, you might be surprised with the variety of looks that you can wear and go with. Just a piece of advice, don’t discount any gown styles unless you’ve tried it on. 3. Call or inform your bridal salons beforehand. While the typical sample size for wedding gowns is size eight, some bridal salons in Singapore have dress samples up to size 14. However, call your chosen bridal shop beforehand to see if they can provide you with larger-sized samples. Don’t worry if the available wedding gowns won’t fit you, there are a couple techniques to gauge how a dress looks on you. You can try wearing a dress just half on to get a preview of how the bottom silhouette would look on your body type. Perhaps, the last resort—and the full-proof choice—is to ask your bridal salon for samples of ball gowns. Ball gowns are always flattering, especially to plus-size ladies, as this silhouette makes the waist look smaller and camouflages the lower torso with its elegant full skirt. 4. Bring and wear your wedding-day undergarments during your fitting. If you plan on wearing a long line corset or a special bra as your undergarment for your gown, then we strongly recommend you to wear them during your fittings. Support garments usually create some changes on the body shape, and you would want to see how these changes look under a wedding gown. This will help you see which style is perfect for you minus the problematic areas. 5. Go with the size that fits the biggest part of your body. You might think that buying a smaller wedding gown at a bridal studio will motivate you to shed some weight before your wedding day; but the truth is, it only adds unnecessary stress to the preparation. Let your consultant get the right body measurements and suggest the right style for you. Also, remember to always go with the biggest size. If your bust fits in size 12 gowns but your hips sits perfectly at size 18, get the ones in size 18 and just have the parts altered. 6. Shop with your most honest friend. If you’re going to s bridal studio hop with one of your friends, go with someone who will give you unbiased opinions and suggestions. You’d want your shopping buddy to be someone that you can trust and who is willing to listen and support you, but won’t sugar coat things or sway you to make decisions that you’re uncomfortable with. Dress sizes are just numbers, and it shouldn’t affect you that much when hunting for the perfect bridal dress. Yes, it may require more time and effort, but it’s never impossible to get a hold of that romantic and princess-like wedding dress you’ve always dreamed of.